We arrived last night after a mammoth nine hour journey, to our beautiful wee cottage just north of Portree, on the Isle of Skye. 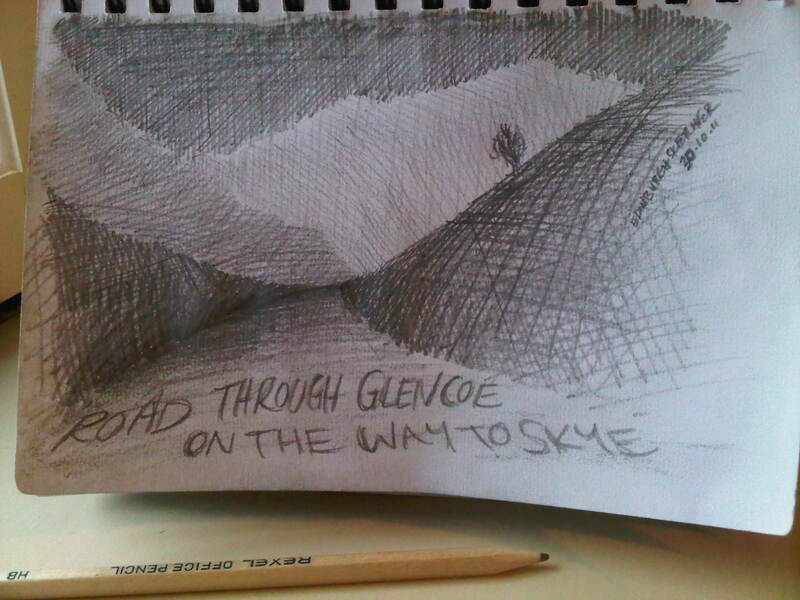 This is a pencil sketch of the road through Glencoe, as the rain fell and the mountain slopes merged into the darkening sky. Hope you have a lovely time now you have arrived & I look forward to seeing your sketches. I’m in Edinburgh on Thursday for the Treesforlife exhib, shame can’t meet up. Next time.